The Lighting Detectives have been involved with this event since our first candle night installation along Harajuku Cat Street in 2003　under the theme of “turn off the lights and take it slow” are on display.. 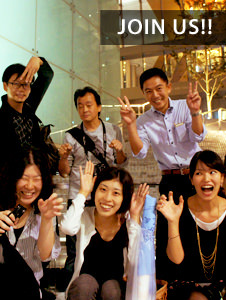 In 2005, we moved to Omotesando to help promote the event and attract a larger crowd. Participants range from local art university students, business professionals, and members of the Lighting Detectives. This activities have been expanded to Singapore.